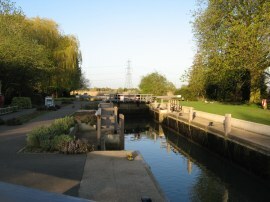 Myself and Sara walked this short section of the Thames Path on Friday 8th April 2011. 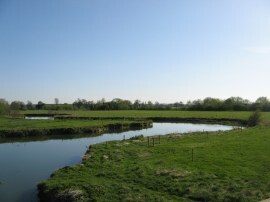 Earlier in the afternoon we had met up over in Witney, where we were staying for a couple of nights, before heading over to St Johns Bridge nr Lechlade to resume our walk along the Thames Path in the late afternoon sunshine. It was a glorious day without a cloud in the sky and far warmer than normal for the time of the year and it was a really sensible idea of Sara's to squeeze a walk in on the day we drove up to the area. 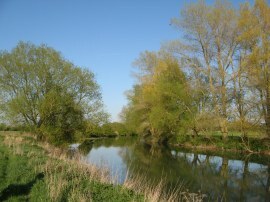 Shortly after rejoining the Thames Path at St John's bridge, photo 1, the route crossed a tall wooden bridge over the river and continued downstream along the path as it snaked alongside a particularly meandering stretch of the river running between grassy fields, photo 2; at one point the river completely doubling back on itself. In this area we also passed a number of old concrete pill boxes, a reminder of a time when the river could have acted as an important line of defence in the result of an invasion. Continuing on the path soon reaches Buscot Lock, photo 3, the second lock heading downstream on the river. From the lock the path continues alongside the river running alongside the edge of grazing meadows, the banks occasionally lined with tall willow trees, photo 4. The path then heads by another wooden bridge over the river at Eaton, photo 5. 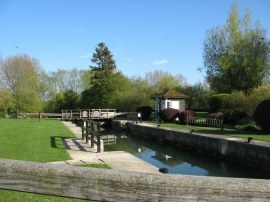 The bridge was built in 1936 on the site of the last flash lock on the river which was in a weir known as Hart’s Weir. A short distance further the Thames heads close to the village of Kelmscott and a short diversion away from the river took us to Kelmscott Manor, photo 6, which was the country home of the textile designer William Morris for the last 25 years of his life. William Morris was born is Walthamstow and there is a Kelmscott Leisure Centre and Kelmscott school close to where I live. 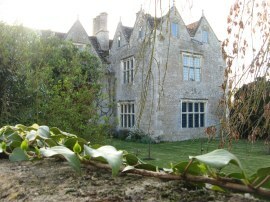 The house itself was quite hard to see, hidden behind a large stone wall. Returning back to the river the path continued alongside meadows and as we approached Grafton Lock we passed an area where there were a number of Snake's Head Fritillary plants in bloom, photo 7. 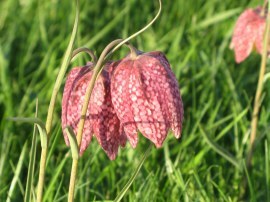 This is the only species of Fritillary native to Great Britain, growing in traditional grass meadows and due to changing land usage it is now quite rare in the wild and something we were both pleased to see. 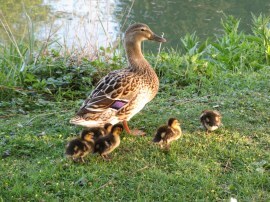 We then headed by Grafton Lock, photo 8, which was opened in 1896, where we spotted a mallard with some ducklings beside the path, photo 9. Leaving the lock the route heads round a small boatyard where there were a number of boats lined up on the bank before heading out alongside more meadows towards Radcot Bridge. Approaching Radcot Bridge the river Thames splits into two channels, one of which is used for navigation. 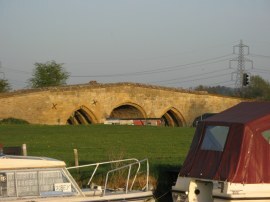 Radcot Bridge, photo 10, is often claimed as the "oldest bridge on the Thames", having been built, with pointed arches of Taynton stone, around 1200 although according to an article on Wikipedia it needed rebuilding after the 1397 Battle of Radcot. 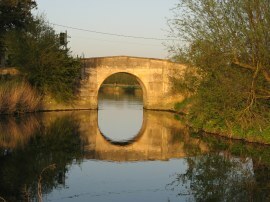 The newer bridge, photo 11, on the navigation channel, is also built from the Taynton Stone which was glowing brightly in the low evening sunlight. 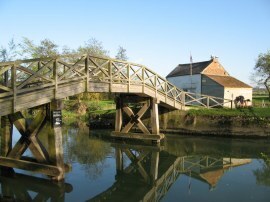 The Thames Path heads over this bridge to join the opposite bank which is where we finished this stage of our walk. 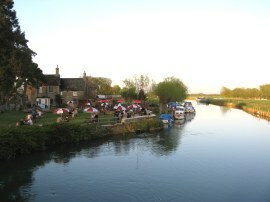 We had parked the car in the car park of the Swan Inn, photo 12, and went and had dinner in the pub before returning back to Witney having walked a further 6.1 miles along the path. 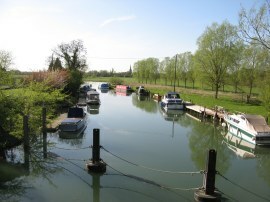 As usual I have uploaded the route of the walk which can be accessed here: Thames Path Stage 3 Route.